These guys followed us home from an art show in Indiana this weekend. They’ll make for a fun, playful surprise on the nature trail. Fun, metal flowers by artist William F Colburn, Jr. of Birmingham, Alabama. 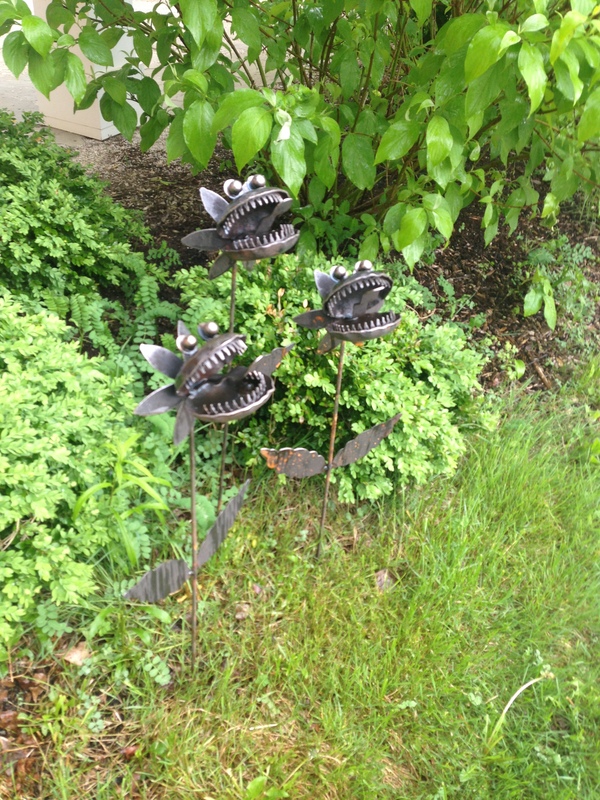 This entry was posted in Fine Art, Landscaping and tagged art, metal flower art, yard art by Chris. Bookmark the permalink.